SEWA Youth Connect: Congratulations every one ! It is amazing to see the 11 pairs of mentors and mentees from the second batch of SEWA Youth Connect started in September 2014 complete 6 months of togetherness! 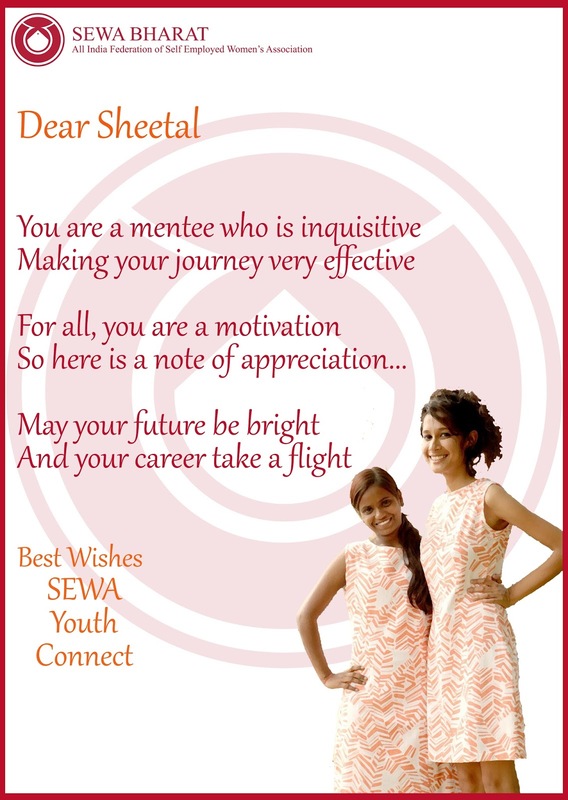 SEWA feels proud and happy to encourage the young girls to come together and engage in the two way learning process. To encourage them further the best performing pair so far was awarded with a token of appreciation ! Here is what we had for mentor Kriti and mentee Sheetal! We congratulate everyone for their journey so far. We wish all of them luck to bring about a positive change in their lives!